Our last podcast detailed the scandalous murder of Stanford White in 1906, on the rooftop of the very building be had himself designed — Madison Square Garden. But another performance venue just a short distance away was also involved in a notorious murder of a prominent New Yorker three decades early. You might be surprised at the location of the venue in question — the Grand Opera House. It was located at the northwest corner of 23rd Street and Eighth Avenue. There’s a movie theater close by — and a theater for the School of Visual Arts just down the block — but I’d hardly call this intersection an entertainment mecca. The opera house sprang up in 1868, the project of Samuel N. Pike, who purchased the land directly from Chelsea estate owner Clement Clarke Moore himself. In fact, the original Moore estate was located only a block away. The Pike Opera House, as it was called in those days, was Pike’s play for legitimacy in New York. A German immigrant who arrived in the U.S. in 1837, Pike lived in New York for a few years and made his fortunes in wine imports. Aspiring to upper-crust tastes, Pike fell in love with opera music after viewing performances by PT Barnum chanteuse Jenny Lind. 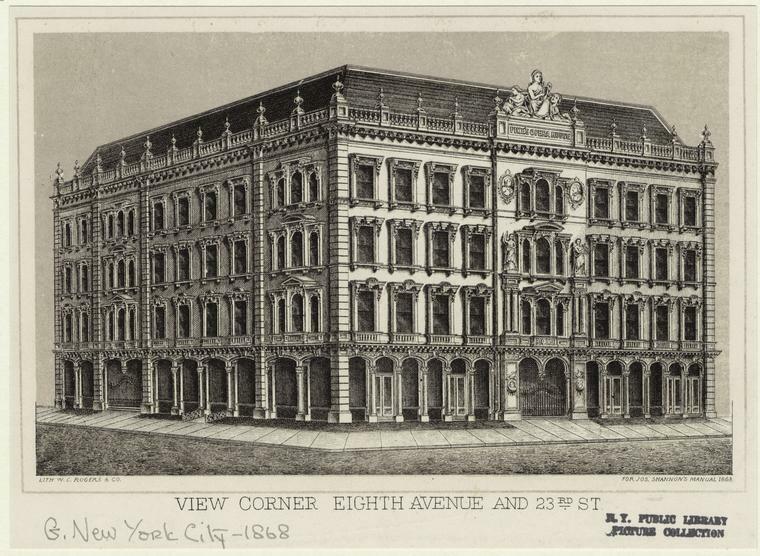 Pike constructed a massive opera house in his adopted home of Cincinnati in 1859 and many years later built a companion here in Manhattan at 23rd Street. It officially opened on January 9, 1868. 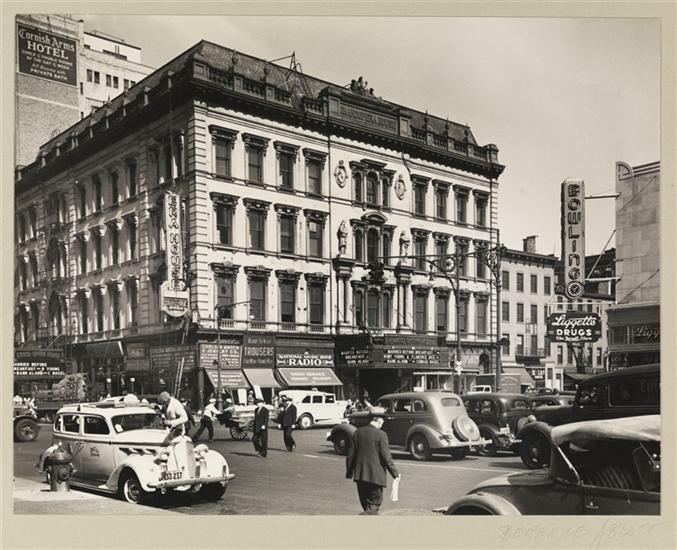 He was banking on the growth of the New York theater along 23rd Street. Meanwhile the wealthy preferred the Academy of Music down on 14th Street. 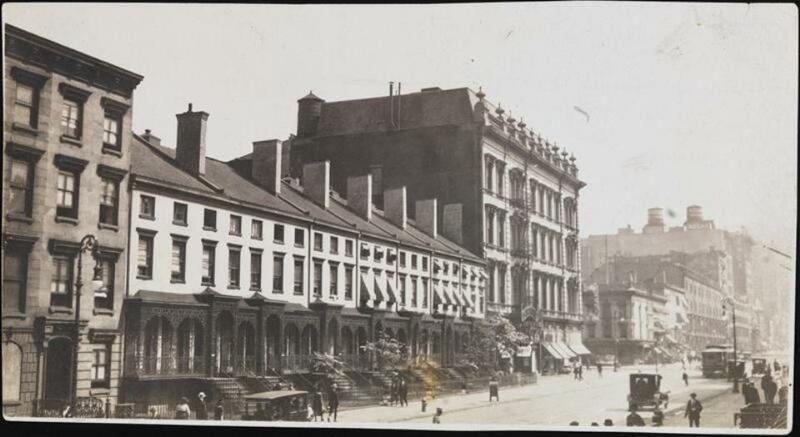 While some stages would come to 23rd Street, it would be the arrival of retail and Ladies Mile that would come to define this street by the 1880s. 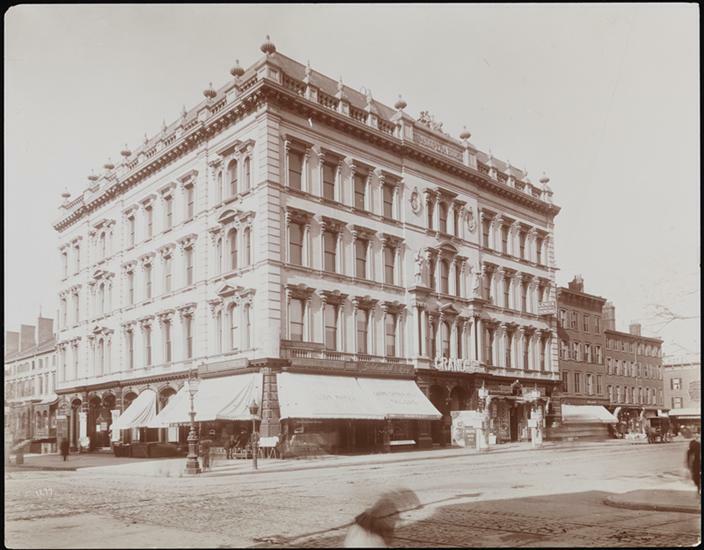 The following year, Pike sold his lavish hall to two rather unlikely investors — Jim Fisk and Jay Gould, grade-A robber barons, pals of Boss Tweed and the orchestrators of the Black Friday Panic of 1869. Why would these two nefarious characters want an opera house? The house’s upper floors doubled as the offices of their own Erie Railway venture. 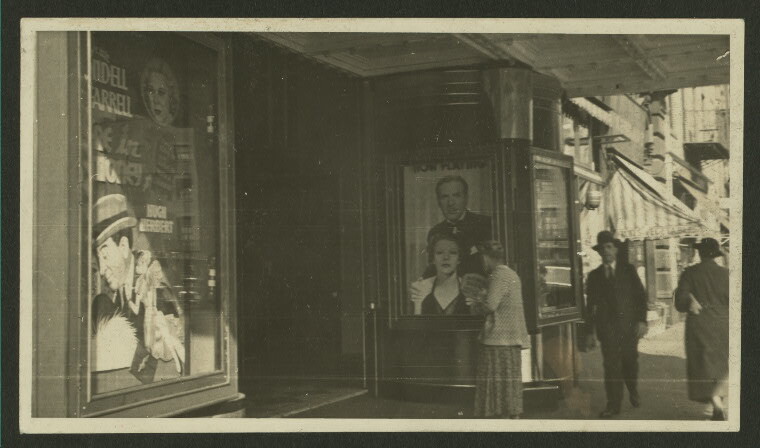 Fisk’s mistress Josie Mansfield was frequently installed into productions at the now-named Grand Opera House; it was even rumored her next-door apartment was connected to the opera house with an underground tunnel. However it does seem that Fisk and Gould were legitimately aficionados of the theater, or at very least fans of the elite who would attend them, and the profits that would follow. The Grand Opera House would soon showcase a great number of theater endeavors outside of opera. 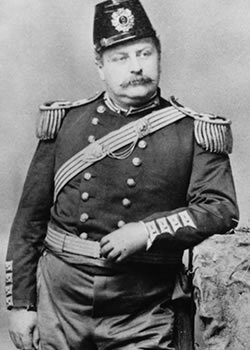 But unfortunately for Fisk (pictured below) the greatest show the Grand Opera House ever presented was his own wake. On January 6, 1872, Fisk was fatally shot at the Grand Central Hotel by Manfield’s new lover Edward Stiles Stokes. He died the following day. The robber baron was so associated with the Opera House that his body lay in state here, attended by thousands of mourners and perhaps tens of thousands of curiosity seekers. 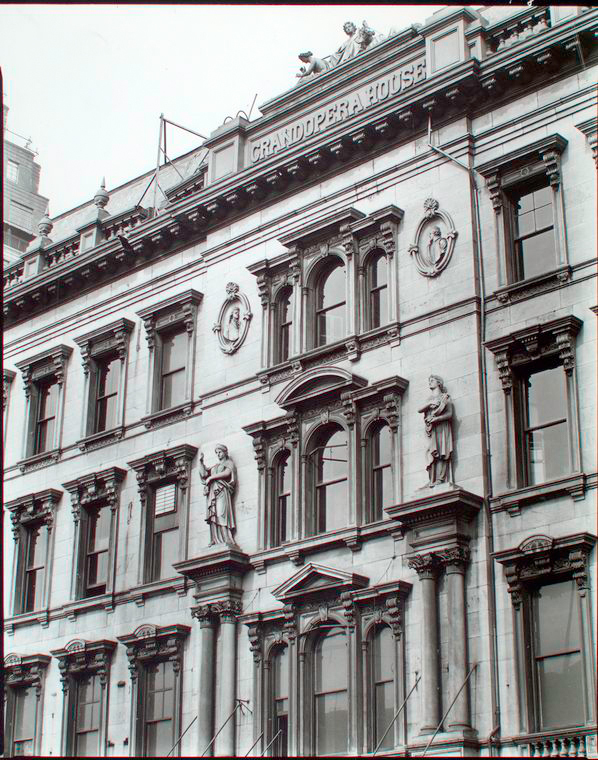 His business partner Gould would continue operating the Opera House for several years afterwards, eventually renting it out to vaudeville shows and ‘second-run’ Broadway productions, its fortunes disintegrating as theater moved uptown and the Chelsea neighborhood became more middle-class. The site remained a movie house through the 40s and 50s, finally closing on June 15, 1960. In a further indignity, the Opera House was thoroughly gutted in a fire. Today a three-story office and retail building sits on the spot of the opera house. 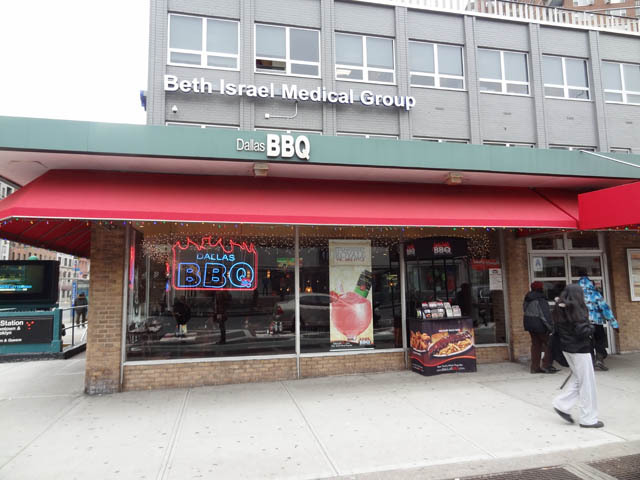 Most New Yorkers are familiar with this corner due to the Dallas BBQ which graces the corner. Fisk might have been way into their Texas-sized margaritas.